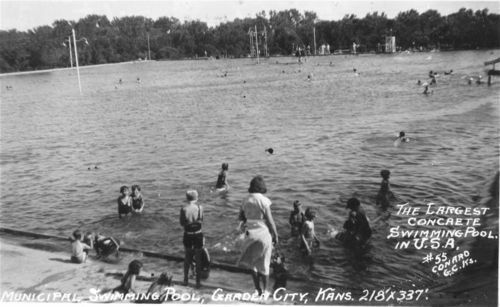 View of the largest concrete swimming pool located in Garden City, Kansas. The pool was 218ft x 337 ft. It was located in Finnup Park.